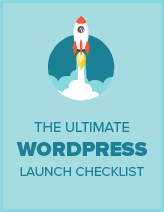 Are you looking for a way to disable automatic WordPress updates? This one line snippet will disable automatic WordPress core updates so that you can update on your own schedule. All you have to do is add this code the wp-config.php file in the root directory of your wordpress install. If you liked this code snippet, please consider checking out our other articles on the site like: How to Easily Back Up Your WordPress Site (Step by Step).